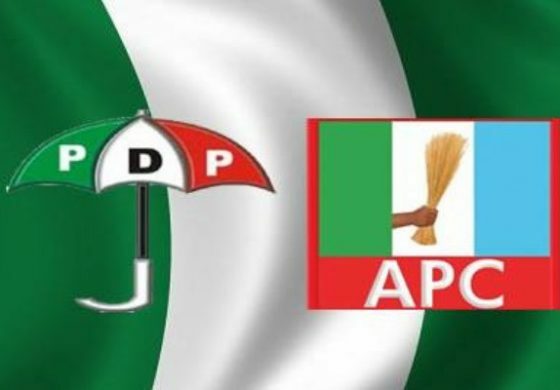 No fewer than 5,552 members of the PDP on Wednesday defected to the ruling APC in Ganye Local Government Area of Adamawa. Alhaji Ibrahim Bilal, Chairman of the APC in the state, while receiving the defectors during the APC governorship campaign in Ganye, said that the doors were still open for new members. According to him, both old members and new comers will be accorded equal opportunities in the party. The chairman called on the people to work together to ensure the victory of the party at all levels of the forthcoming elections. Alhaji Jibril Gangjari, Chairman of the party in the local government, commended the party for the construction of Mayo Belwa-Tuongo Road. Gangjari said that the entire Ganye Chiefdom had suffered neglect in terms of infrastructure in the past. He assured Gov. Mohammed Bindow of massive votes for the APC in the forthcoming elections. Alhaji Inuwa Samaila, one of the decampees, told NAN that he was attracted to APC due to the developments recorded by the party in the area. Samaila mentioned N-power programme, Schools’ Feeding Programme, among other achievements of the APC. He called on other members of the PDP to join the APC winning train for a better Nigeria. NAN reports that Ganye was the second local government area Bindow visited for his re-election campaign.